Rizal Park, also known as Luneta Park, is a historic urban park located in the heart of Manila, the capital city of the Philippines. It’s one of the most significant landmarks in the country that shouldn’t be missed by every local or foreign tourist who are travelling to Metro Manila. The park isn’t only a cozy and relaxing place to spend time with family and friends but visiting the 58-hectare site will tour anyone to hundred years of Philippine history from the Spanish period to the present time. Here are 10 reasons why you should include Rizal Park in your list of must-visit places in the Philippines. 1. See for yourself the most famous monument in the Philippines. The hundred year old Monument of Rizal is probably the country’s most famous, most visited and most photographed monument. It houses the remains of the Philippines’ most celebrated national hero, Dr. Jose Rizal. A visit to Rizal Park will give you the chance to honor Rizal and appreciate the national heritage he left to the Filipinos. Being there will also give you the better position to assess whether Torre de Manila should be demolished or not. 2. Visit the actual site where Dr. Jose Rizal was executed. About a 100 meter distance from Rizal’s monument is the exact location of his execution on December 30, 1896. 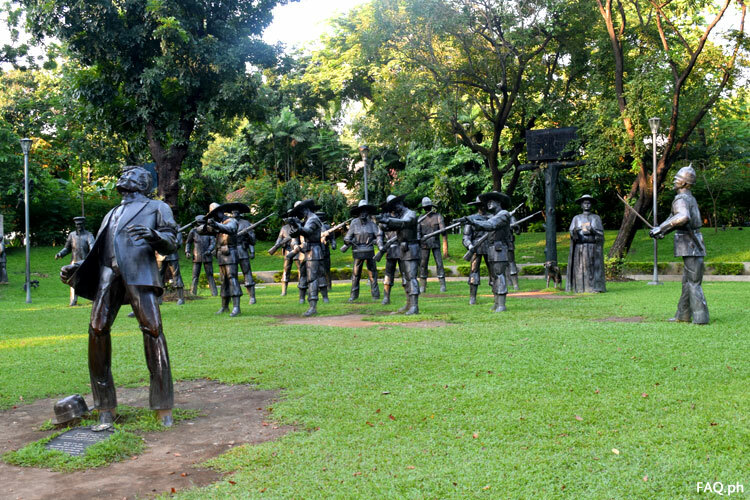 Life-size statues or dioramas depicting his final moments, including his execution by firing squad can be seen in the site which is named “Ang Pagpapakabayani ni Dr. Jose P. Rizal (The Martydom of Dr. Jose P. Rizal)”. An entrance fee of P20 for adults and P10 for students during day tour is charged to enter the site. 3. Behold the tallest flagpole in the country. The 150 feet tall “The Independence Flagpole” is the tallest flagpole in the Philippines. It is located just in front of the Monument of Rizal. 4. Stand beside the starting point of all distances in the Philippines. 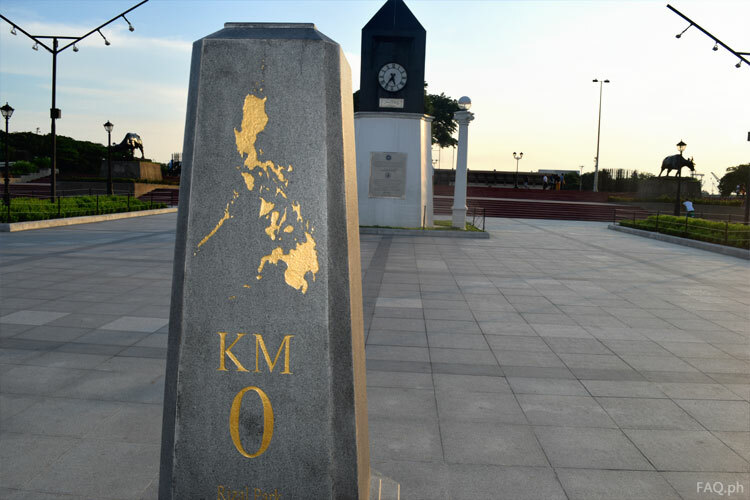 Just across the Independence Flagpole (going to Quirino Grandstand) is the marble marker Kilometer Zero (KM 0). It is the point of origin for measuring the distance to all provinces and cities in the Philippines. 5. Pay a tribute to the brave Filipinos in the Gallery of Heroes. 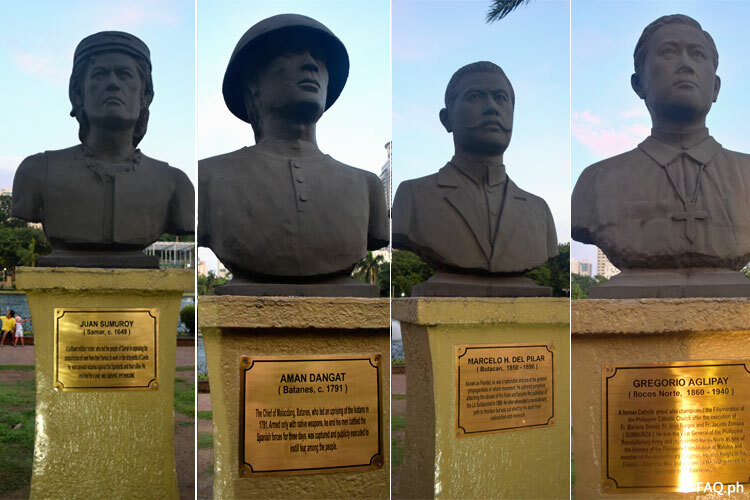 The Gallery of Heroes is composed of 2 rows of bust sculpture monuments of Filipino heroes from the different parts of the country, such as Juan Sumuroy of Samar, Aman Dangat of Batanes, Marcelo H. Del Pilar of Bulacan, Gregorio Aglipay of Ilocos Norte, and Sultan Kudarat of Cotabato. The 2 rows surround the Central Lagoon, where the Musical Dancing Fountain is installed. 6. Remember the martyrdom of GOMBURZA. Before Rizal was executed in Luneta (Bagumbayan) in 1896, the place was already a famous site for executing Filipinos who resist against the Spanish government. The execution of Filipino priests Mariano Gomez, Jose Burgos, and Jacinto Zamora (popularly known as the GomBurZa) by garrote on February 17, 1872 was among the events that stirred the earliest Philippine revolution against the Spaniards. Jose Rizal has even dedicated his second novel, El Filibusterismo, to the memory of GOMBURZA. A marker of their actual execution site can be found just a few steps away from Rizal’s execution site. 7. Take a picture with this gigantic statue of Lapu-Lapu. 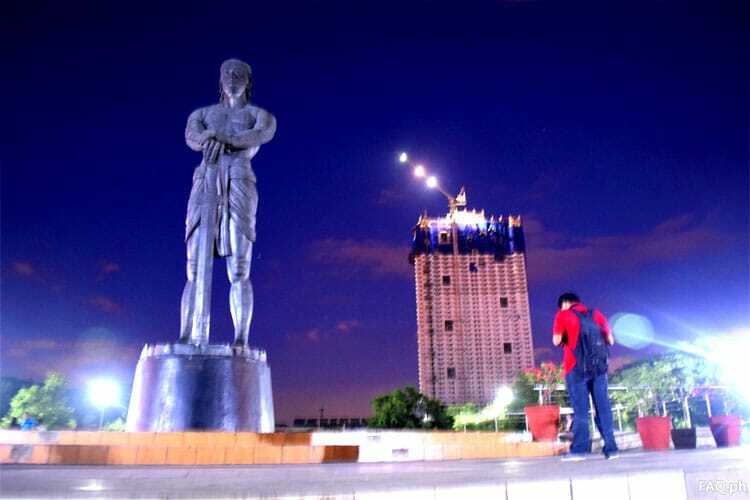 The forty-foot statue of Lapu-Lapu or the “Statue of the Sentinel of Freedom” erected at Teodoro F. Valencia Circle in Rizal Park was a gift by the Korean Freedom League to honor the memory of freedom-loving Filipinos who helped them during the Korean War in the early 1950s. Lapu-Lapu is best known as the hero of the Battle of Mactan (April 27, 1521) who stopped the invasion of Magellan in Cebu. He is considered as the first Filipino national hero who resisted the Spanish conquest. 8. Visualize the Philippine archipelago with this giant raised-relief map. The Relief map of the Philippines is a giant raised-relief map of the country situated in the middle of a small man-made lake. The map includes the Scarborough Shoal, Kalayaan, and eastern part of Sabah. It is the first attraction that visitors will spot when they enter Rizal Park from Taft Avenue. 9. See stunning artworks from renowned Filipino artists. The bronze sculpture above is the Seeds of Freedom (Binhi ng Kalayaan) by renowned Filipino sculptor Ed Castrillo. 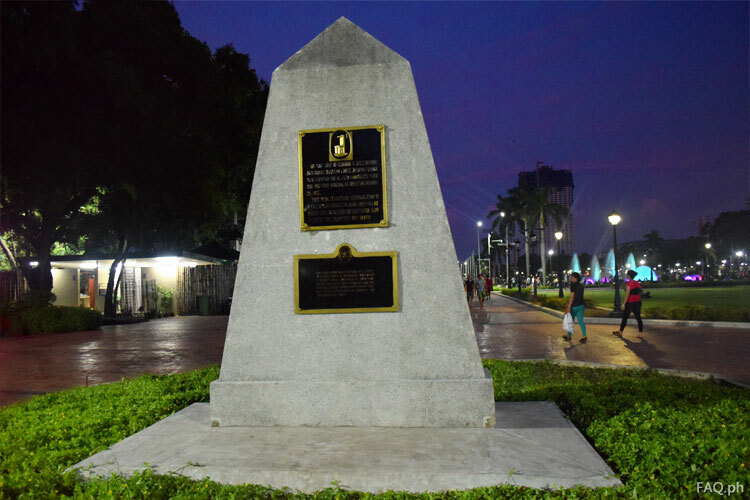 It was erected at the entrance of Binhi ng Kalayaan Garden which was named after it. 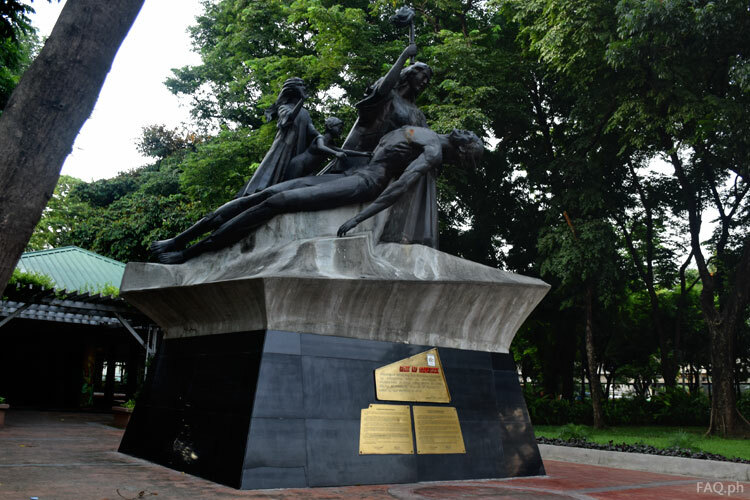 The monument is dedicated to the unnamed Filipinos who fought for our freedom during the Spanish colonization. Underneath it is a time capsule buried which contains documents and memorabilia related to their great struggles. 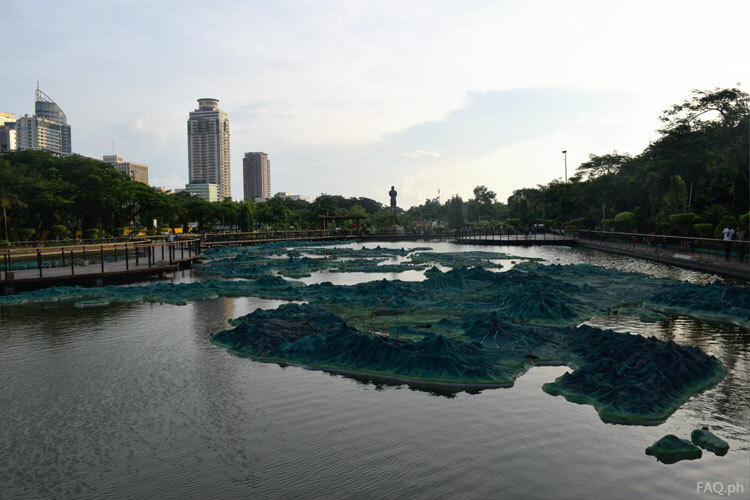 The sculpture is only one of the several amazing artworks you will find at Rizal Park. 10. Just relax and chill out at one of the largest urban parks in Asia. Rizal Park is one of the largest urban parks in Asia. 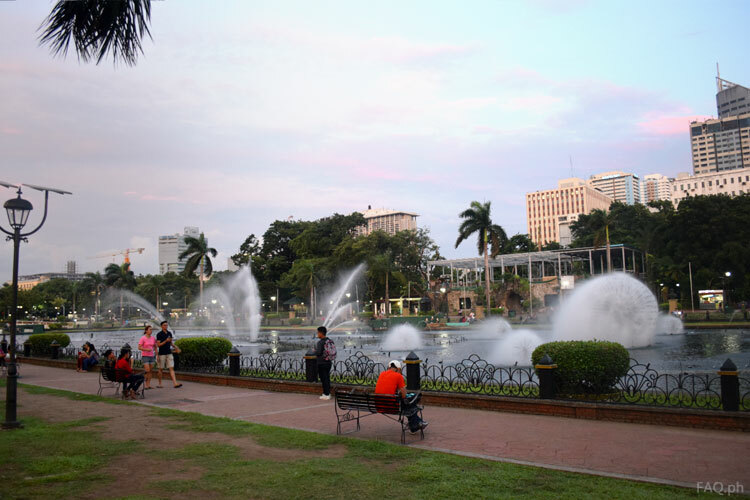 With its grassy land, green trees, gardens for picnics and meditations, as well as a musical dancing fountain, the park is also regarded as Manila’s green lung where people can escape the stressful noise and pollution of the city. 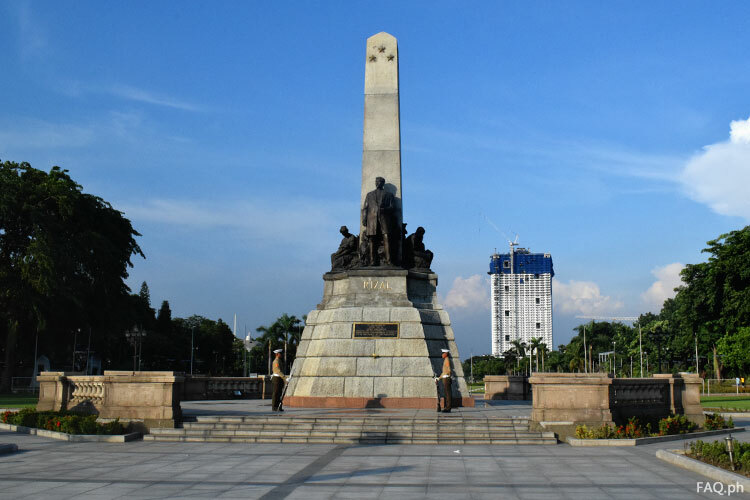 Bonus: Rizal Park is just a walk away to other important landmarks in the Philippines. 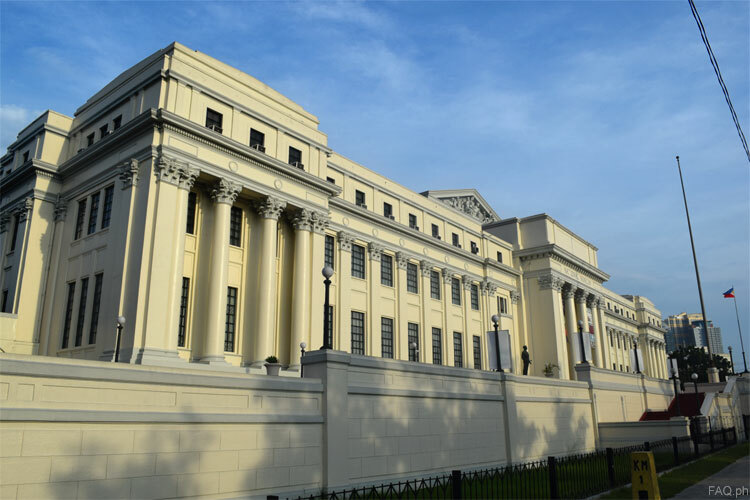 Rizal Park can be your starting point to other significant attractions in Manila, which include the National Museum of the Philippines (see picture above), the historic walled city of Intramuros, Manila Ocean Park, and the National Library of the Philippines. 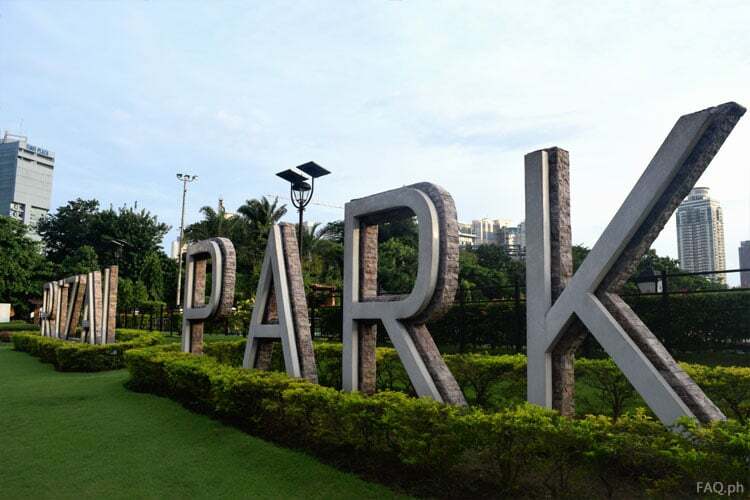 So a visit to the park will also give you an opportunity to visit those places which are not only important attractions in Manila but also in the country. 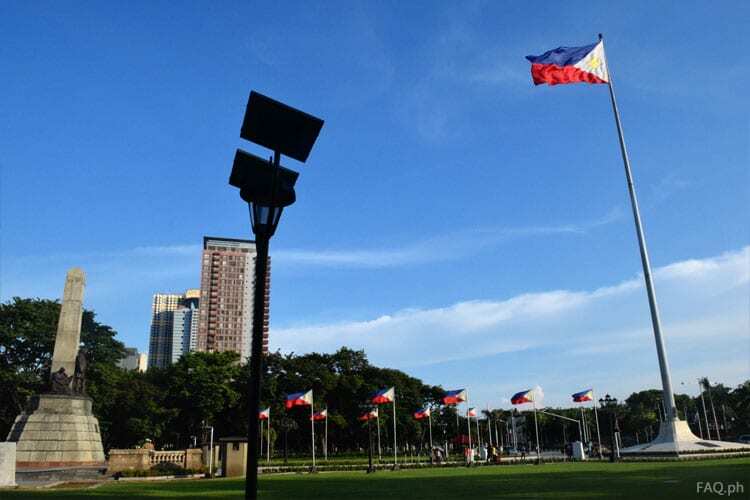 Perhaps most people who have already set foot in Manila have already visited Rizal Park. But this historic park located in the heart of the city is best visited, used and enjoyed if people will learn, realize and appreciate its historical value. It’s a place where we can find many important heritages of our country. It’s a place that we should preserve, nurture and protect for the next generation.